There are a handful of effective means of eliminating credit card debt. Chapter 13 bankruptcy can be a useful tool for individuals who wish to avoid negative consequences while attempting to repay debts. This type of bankruptcy can help those with considerable assets or stable income avoid foreclosures and wage garnishments while paying down substantial balances and even credit card debts. No other method of debt relief allows you to eliminate credit card debt while at the same time let you keep your assets. Our team of bankruptcy and debt relief professionals can put your ind at ease – contact us right away! Chapter 13 Reorganizes and Erases Credit Card Debt! Unlike a Chapter 7 bankruptcy, Chapter 13 bankruptcy is the process of debt reorganization rather than debt elimination (although the vast majority of unsecured debts, like credit card and medical debt, is eliminated). Because of this, some outstanding balances will need to be paid whether partially or in full. Chapter 13 also offers different payment plan options, such as a three or five-year payoff timeline. When it comes to credit card debt specifically, there are a number of factors that determine how much money will need to be repaid and what remaining amounts will be discharged after the bankruptcy is complete. Getting the proper documentation, bills and a recent copy of your credit score and credit report are essential to getting the process of eliminating credit card debt started! Chapter 13 places a temporary hold on creditor action while also preventing late fee charges and interest rates from accruing. This provides individuals with extra time to pay off any outstanding credit card debts while easing some financial burdens. This repayment plan offers a lower monthly payment while also giving individuals a break from additional accumulation. 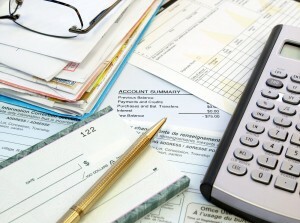 There are a number of categories in which debts are defined. Credit card debts that are secured by assets are characterized as ?secure debts? which carry a high priority for repayment, especially if the individual would like to retain their assets. Unsecured credit card debts are characterized as ?general unsecured? debt, which has the lowest priority for repayment. After any secured and priority unsecured debts are cleared, remaining funds are given to the credit card companies in which the debtor owes money. The percentage of those funds that each credit card company will receive is based on the amount owed to them by the individual. Credit card debts are generally not required to be fully paid through Chapter 13 and after the funds have been dispersed, the remaining credit card balances are usually discharged. Find out just how much credit card debt you can eliminate by speaking with our team who can provide you with the bankruptcy help and advice that you deserve! Eliminate Debt and Save Your Property – Let Us Help! Many people with massive credit card debt are able to partially repay their balances given extra time and relief from late fees and high interest rates. Because of this, Chapter 13 bankruptcy may be the perfect option for correcting debt problems and regaining control of one?s financial future. Consulting a bankruptcy attorney is always helpful when trying to determine the best course of action during financial hardships; they can help determine eligibility as well as submit the appropriate documents to begin the process.? Can I File Chapter 13 Bankruptcy if I’m Unemployed? What Is the Payment Plan Featured in Chapter 13 Bankruptcy?